We’ve had a busy week! 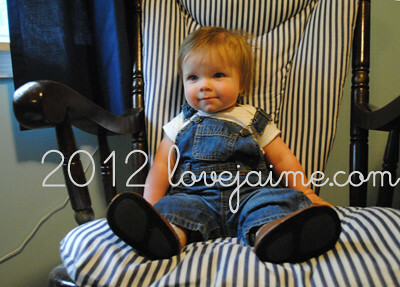 This big guy is 34-weeks-old. He tried carrots this week and so far seems to like them! 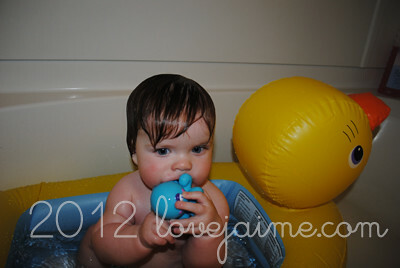 We also brought out the “big” baby tub. This one is way more fun, in that he’s able to splash SO MUCH more! 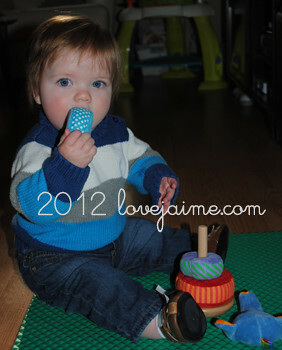 From the looks of these pictures, I almost think he’s teething (again!). He chews all the time. He still has *just* eight teeth. In another week, he’ll be 8 months old! Hard to believe!! I showed Grandma B. Lucas 34 weeks pictures yesterday. She just loved them!! !